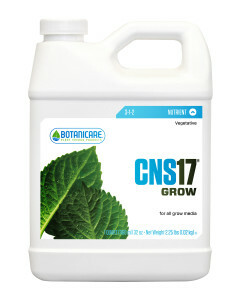 CNS17 Grow is extremely concentrated, cost effecttive, and produces premium results for the commercial grower and hobbyists. Formulated for use with all grow mediums, CNS17 Grow contains all seventeen essential elements, making it ideal an food source for plants to thrive throughout the vegitative growth phase. Optimal ratios of nitrogen and phosphrous promote increased root development, decreased internode spacing, and sturdy stalks and branchers to support bigger, healthier plants. 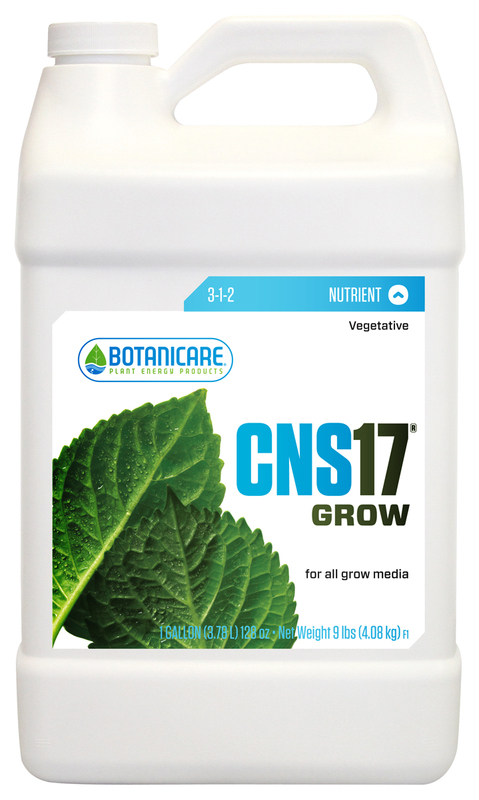 CNS17 Grow formula also combines high levels of calcium with sulfates and phosphates to guarantee a balanced spectrum of plant nutrients.